Following the US public launch of the Google Voice service, the company has recently introduced tighter integration within Gmail. Google Voice users can tick a box called Google Chat next to the forwarding phones in Google Voice. Then the chat window will notify of incoming calls from within the Gmail web client. "You can take the call or even listen in as the caller leaves a message, in a single step right from your computer," said Google software engineer Nick Foster on the Google Voice Blog. As you would expect, calls made from Gmail will display the Google Voice phone number as Caller ID. Google Voice is the result of the acquisition of VOIP firm GrandCentral in 2007 by the US-based Internet giant. However the service is still only available to those within the US and Canada, despite the service having debuted on a typical invite-only scheme well over a year ago. 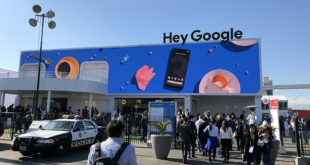 Google has continued to be evasive about a global launch, using phrasing such as "Google Voice is still limited to everyone in the US for now." One of the stumbling blocks is thought to be the difference in charging model between the US and other countries, where US mobile phone users will pay termination charges to accept a phone call while in Europe, for example, receiving calls is free but the cost of making calls is more expensive and highly variable.